ALWAYS the last Saturday in September! Oktoberfest is celebrated throughout the world because it is devoted to beer, food, fun and families. There is no other theme. There are no saints nor civil wars nor revolutions, just mostly beer & food & fun. It’s pretty simple. In Germany, they love it so much it lasts for about 4 weeks. Maybe we can do that here at the Ale House, too, someday. For now, let’s just work on this one day and make it great for all of us and for Downtown Gardner. Gardner loves you, baby! Dubbed “Party In The Street”, Oktobe rfest is a profession of our wanton love of celebration in a moderately regulated fashion, outside, for everyone. Perhaps the key words here are party, wanton, outside and everyone. Such a celebration cannot occur very often or it will dull itself. However, as it does occur, the thrill goes right through ones bones. And as our Oktoberfest grows and adds more community groups and more events, the opportunities to play are myriad, the interconnections nearly numberless. 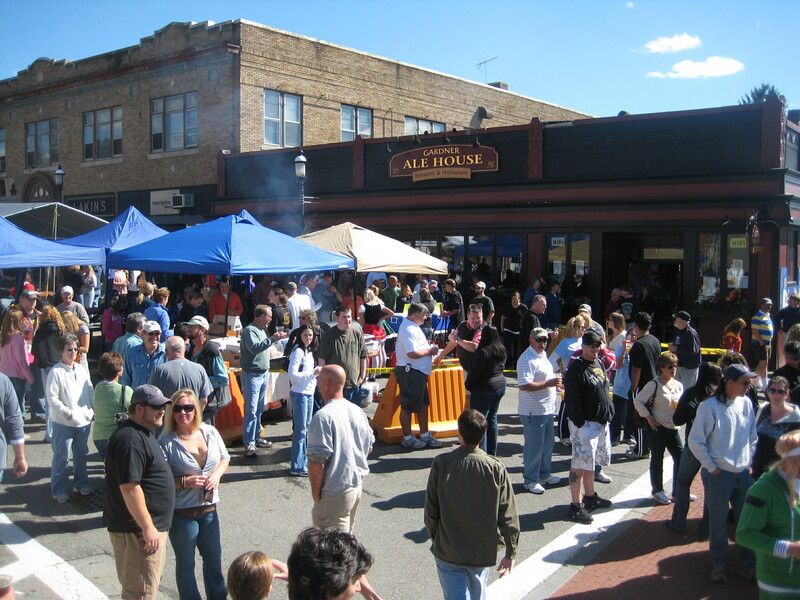 Oktoberfest is the essential celebration that identifies the Ale House and what it is and wants to be for people and Downtown Gardner. We hope you can come out and celebrate an ambitious project-in-people called Gardner Ale House. We are twice as big on this day and the Downtown merchants are in on it, too. 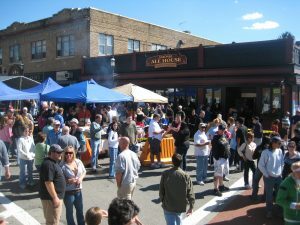 It’s gotten to be big and getting bigger each year and now we can close off the streets allowing pedestrians the greatest family style party in Gardner. Save the date for our 14th Oktoberfest, Saturday, September, 28th, 2019, for a really good day out with the fam. Free admission. Open to all ages. 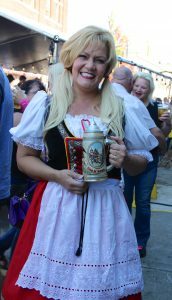 At 11:00 AM, the Gardner Ale House opens, the German Beer Garden opens, the music begins and the crowd slowly grows. Rain or shine we got you covered. We have the authentic German fare of sausages, sauerkraut, potato salad, and soft pretzels. We sport our Moon Hill Brewing Co.’s Oktoberfest Lager and much more beer, beer, beer. We have lawn games for adults and kids’ activities, too. 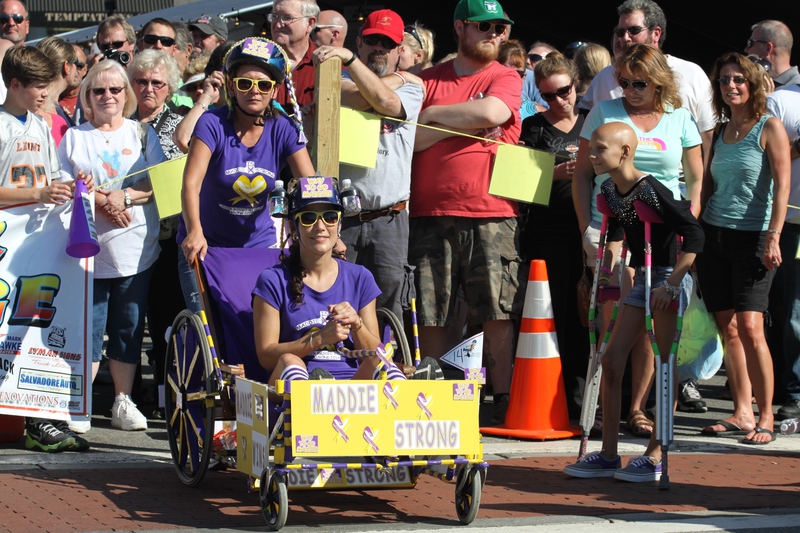 Our neighbors, Lakin’s Children’s Fine Apparel and PYCA, will be out in the street, too. We have popcorn, cotton candy, and Italian sausages, hamburgers, hot dogs and pizza to round out the festival feel. With oompah music running all morning, we now begin formally with this tapping and the singing of Ein Prosit. After the ceremony, the music changes to something a bit more non-ethnic and a bit more rock ‘n’ rolly, but, decidedly nostalgic, for the Ale House owner is old and somewhat stuck in the 60s and early 70s. To miss this is sadness, to compete is insanity. The Ale House owner was insane once, and paid for it. He actually, believably, faked his own death for about 15 seconds. Some people didn’t think it was funny. He thought he was in too much pain to pull it off anyway – he had to moan and writhe, as required. The idea is to get a chair, put wheels on it, put some kind of brakes and steering on it (if you care), don a helmet and roll downhill towards Beauregard Liquors from the Ale House. This event has been taken on as a project by the fun loving Acadien Social Club just down the street. They feature “Human Bumpers”, a locally known emcee who’s shtick and costume are always a surprise, and several accidents. 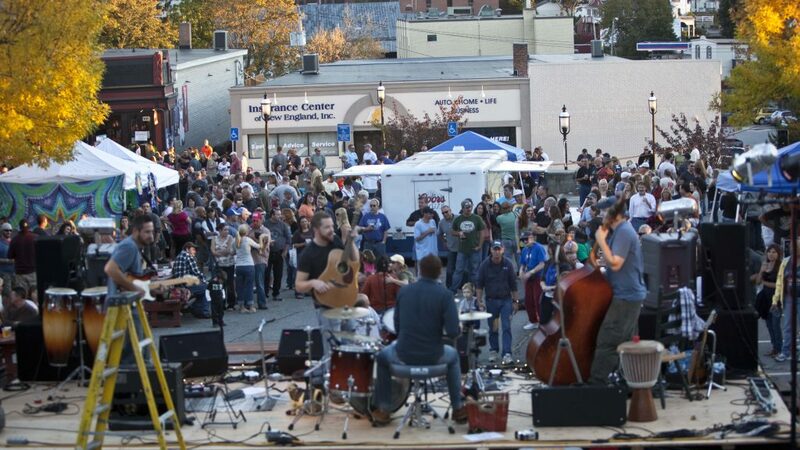 Immediately following the Gardner Chair Luge, some of the region’s finest live musical acts take the stage in the parking lot across from the Ale House, as the party takes yet another turn – dancing, chilling and getting re-acquainted with people or getting to know new people with a free concert. We close the street party down by 10:00 PM. The restaurant stays open a bit longer, but not much, for we are all tired and talked out and see only our beds in our heads.